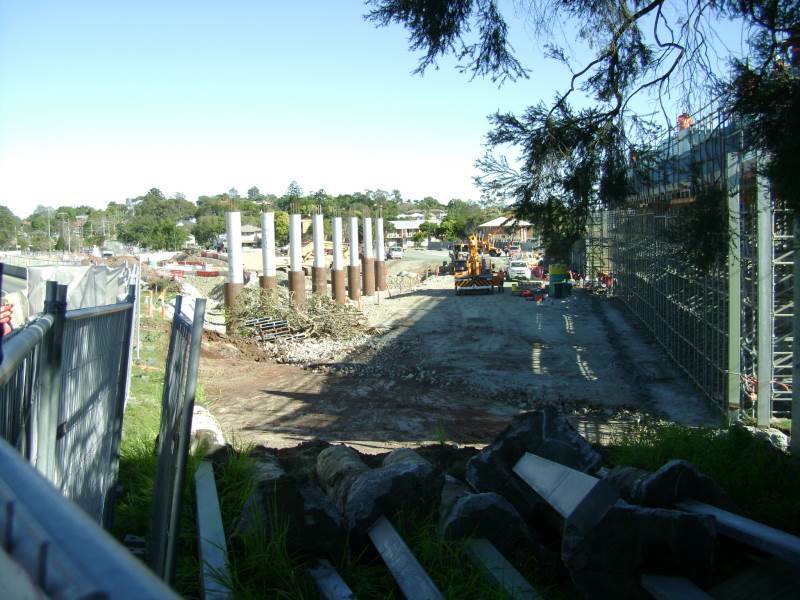 The new road overpass bridge at Geebung will open ahead of schedule, ensuring a safer journey for Northside motorists. Lord Mayor Graham Quirk and Transport and Main Roads Minister Scott Emerson today took the first drive over the new overpass that connects the Robinson East and Robinson West roads. 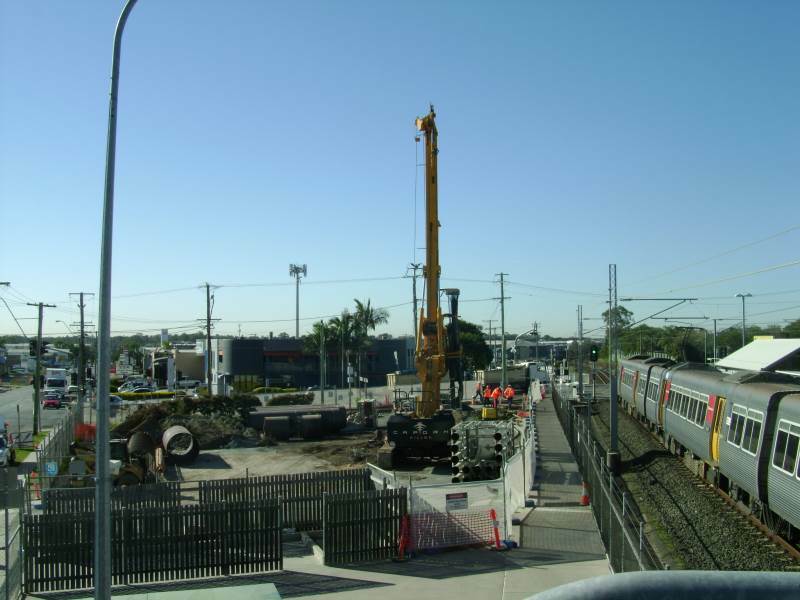 The bridge was constructed as part of the $199 million Robinson Road Open Level Crossing Replacement Project and is a result of an election commitment to fight traffic congestion and boost safety around Geebung Rail Station. 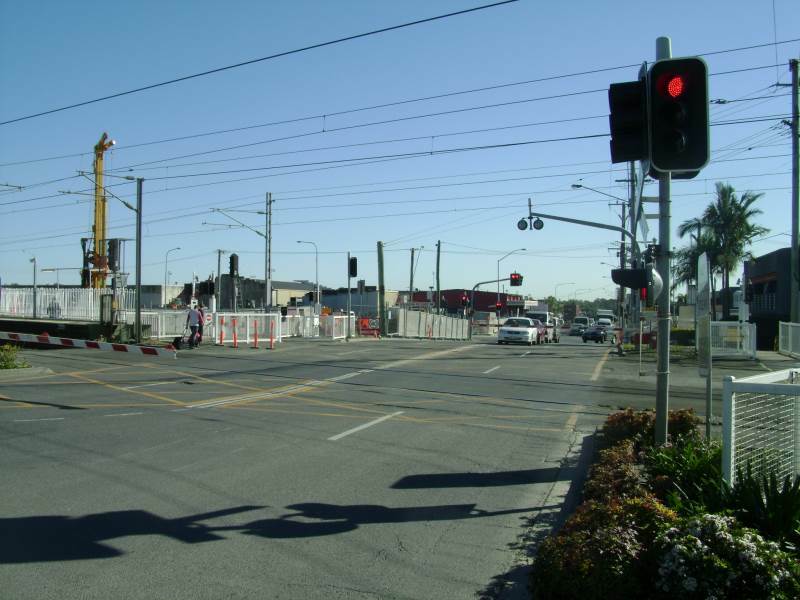 Lord Mayor Graham Quirk said the opening of the overpass to traffic on the morning of March 24 would bypass the dangerous open level crossing on Newman Road. “Northside motorists can look forward to a safer, more efficient journey thanks to the Geebung road overpass bridge.” said Cr Quirk. 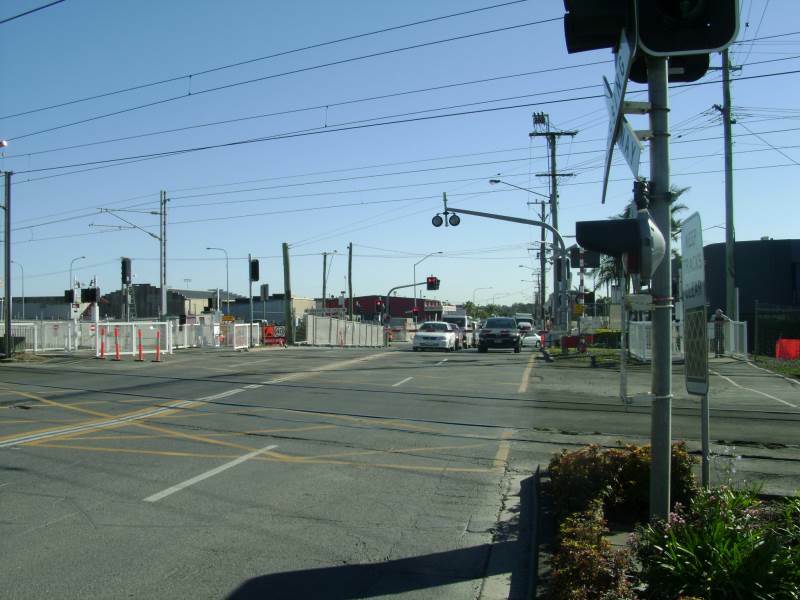 Mr Emerson said RACQ identified Robinson Road as one of Brisbane’s most notorious level crossings so the Queensland Government was keen to work with council to build a flyover. “We promised to deliver better infrastructure and planning and this new road overpass bridge will not only boost safety it will improve traffic flow and alleviate congestion” Mr Emerson said. Member for Nudgee Jason Woodforth said he was pleased to see such a great outcome for the local community. 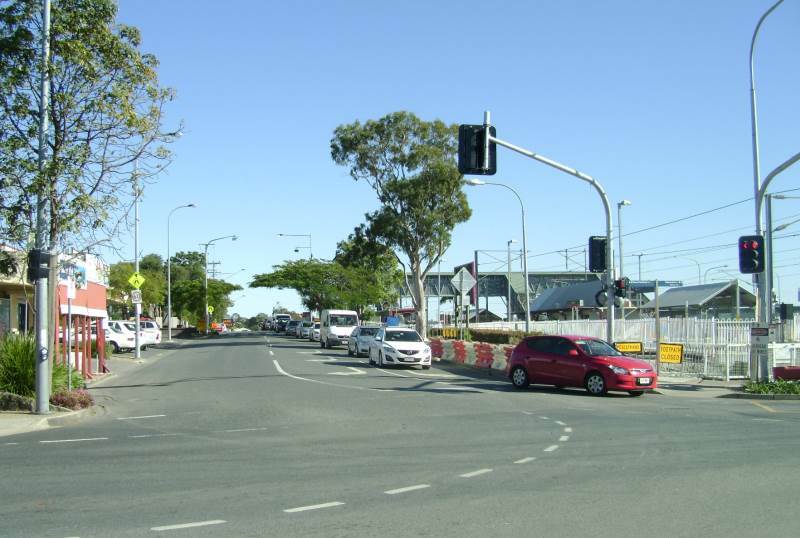 “This upgrade forms an important link for motorists between Gympie Road and Sandgate Road. We can also look forward to even better access around Geebung Rail Station with a new pedestrian overpass and extended car park underway,” said Mr Woodforth. The project is jointly funded by Council and the Queensland Government and the project is delivered by Brisbane City Council, BMD Constructions and SMEC Australia as the Geebung Overpass (GO) Alliance. A temporary traffic detour will be required from 6pm Friday, 21 March to Monday, 24 March, to complete preparations for the road overpass opening. Vehicles will have access to the new overpass from 5am Monday, 24 March. More information about the overpass and travel maps, are available at www.brisbane.qld.gov.au or by contacting Council on (07) 3403 8888. To celebrate the opening of the road overpass bridge to traffic on Monday 24 March 2014, the Geebung Overpass (GO) Alliance invites residents and businesses to a special community walk over the bridge this Sunday 23 March 2014, between 2pm and 3:45pm. The bridge opening is a major milestone for both the Robinson Road Open Level Crossing Replacement Project and for the local community. Details for the event are included in the attached invitation. Also attached is the works notice for this weekend, which includes details about the temporary detour in place from 6pm tonight to approximately 5am Monday 24 March 2014. In addition, a Queensland Rail track closure will be in place this weekend. 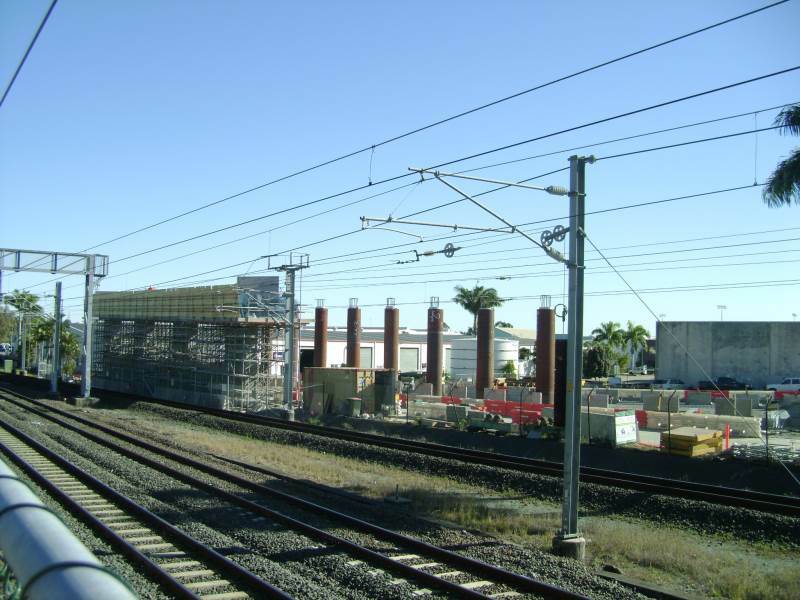 Queensland Rail has distributed information about their works in a separate notification. If you have any questions about the planned works or the event, please call 1800 704 749. Unfortunately there has been no attempt to make the shopping precinct now free of traffic into a pedestrian friendly public space. It's just roads, roads and more roads. Even the blank walls/spaces created by them have had little thought in terms of public space or smart retail/commercial use? So many examples of smart use associated with overpasses that we just do even attempt to do!! Pave paradise and put up a parking lot!! Hahahahahaha. Would you please ease up on it for once mate. What shopping precinct? A bakery, a post office, some second hand clothes stores, a hair dresser, a tattoo parlor and a small grocery store....oh an RSL... That's about it. Chermside which is a few minutes down the road is where the real shopping is done. The only shopping that is getting done are the tradies picking up supplies in the industrial heartland that is known as Geebung/Virginia. I suggest you know the area first before making one of your anti car must not be anywhere near here posts. Sandgate Road, Gympie Road and Murphy Road are already at capacity during peak hour. 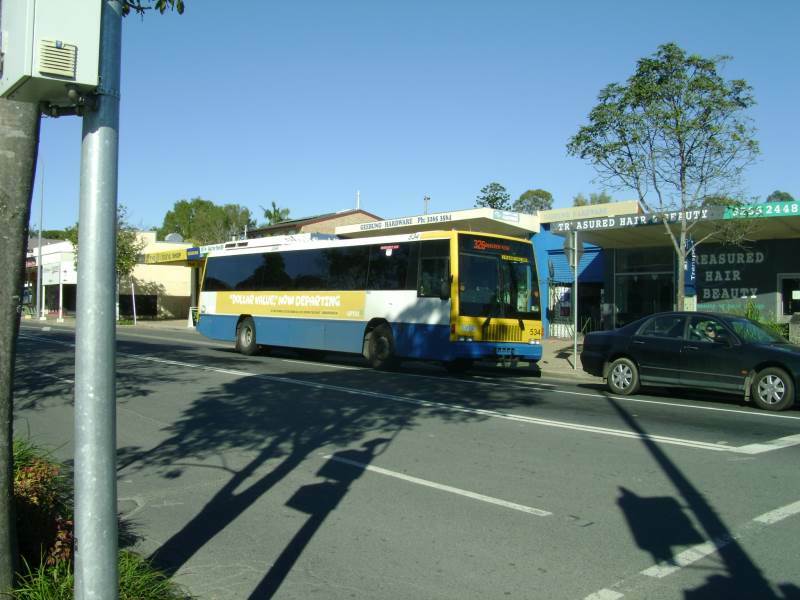 Gympie Road and Sandgate Road are always bumper to bumper starting from as early as 3-3.30. Take a trip on the 310, 315, 330, 335, 338 etc. Newman Road plays a real part when it comes to traffic in the local area. The Aspley Village up the road is more of a shopping precinct than Geebung. Chermside Village has a bigger shopping presence. Even that tiny shopping village on the corner of Gympie Road and Beams Road has way more foot traffic going on there. Heck. Even the local shops just down the road from me has more trip generators than what is on offer at Geebung. And the daycare centers and the local school are right next door to the place. You right! Close enough is good enough in Queensland. Why try any harder than the minimum. I guess that why we all jump on planes to go overseas to marvel at and immerse ourselves in good urban design. But the area isn't a big draw card for shopping and living as much as you think or want it to be. Some stations are better poised but currently not Geebung. And not for a while. Its single housing and primarily an industrial area. Shutting the street at the shops would force cars through backstreets. The "supermarket" carries a very low stock holding of products, you could be mistaken for thinking that they are selling what's left and closing down. We stopped for a drink and snack a few weeks ago during PM peak. We where the only customers. Congratulations to the Geebung Overpass Alliance (BMD Constructions, SMEC Australia and BCC) on the opening of the road overpass at Geebung today (1). Funded by BCC and the State Government. 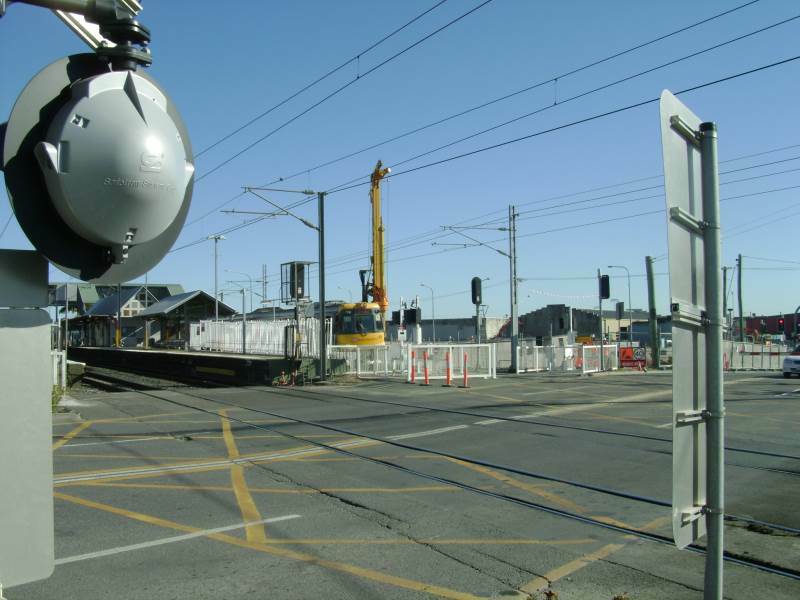 This replaces one very significant open level crossing. Well done. 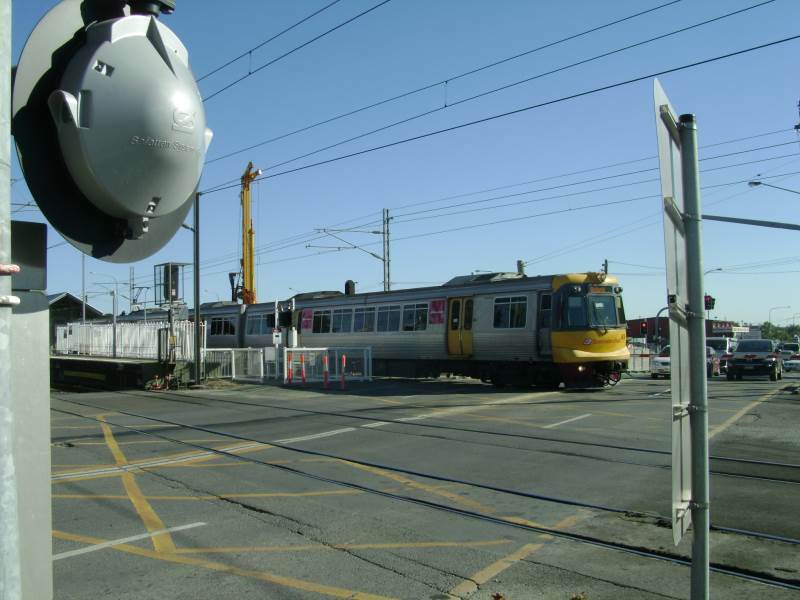 There are still over 50 level crossings on the suburban network, so much effort needs to continue in ensuring that basic road rules are followed at all times. 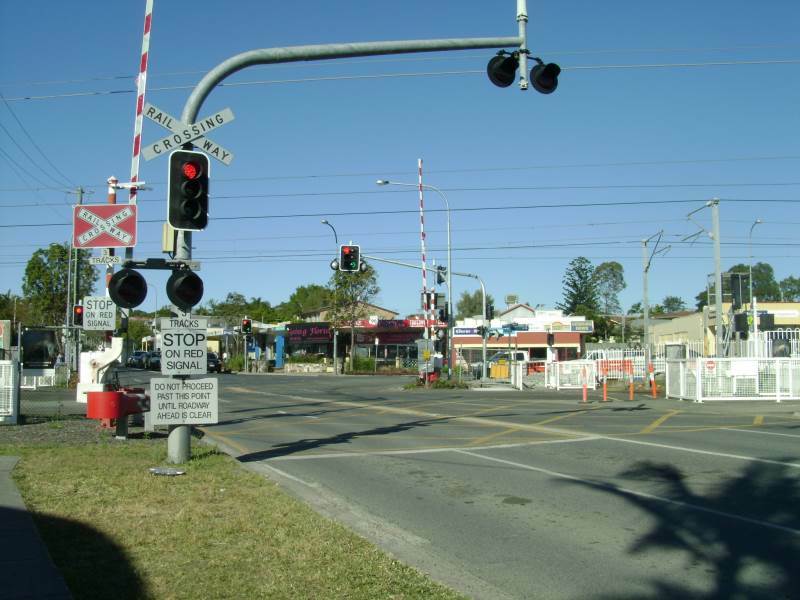 Disruptions at level crossings not only interfere with trains, but add to the already bad road congestion woes in SEQ by interfering with traffic flows and slowing buses. Went for a drive over the new bridge this morning. ^ nice. 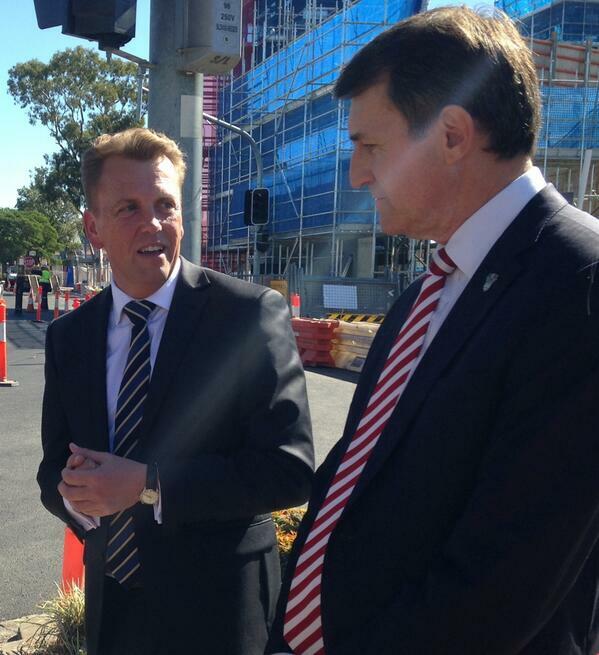 Thanks for sharing ..
With @Team_Quirk & @JWoodforthMP to announce $199m Geebung rail overpass 3 mths ahead of schedule. Now completed Aug. 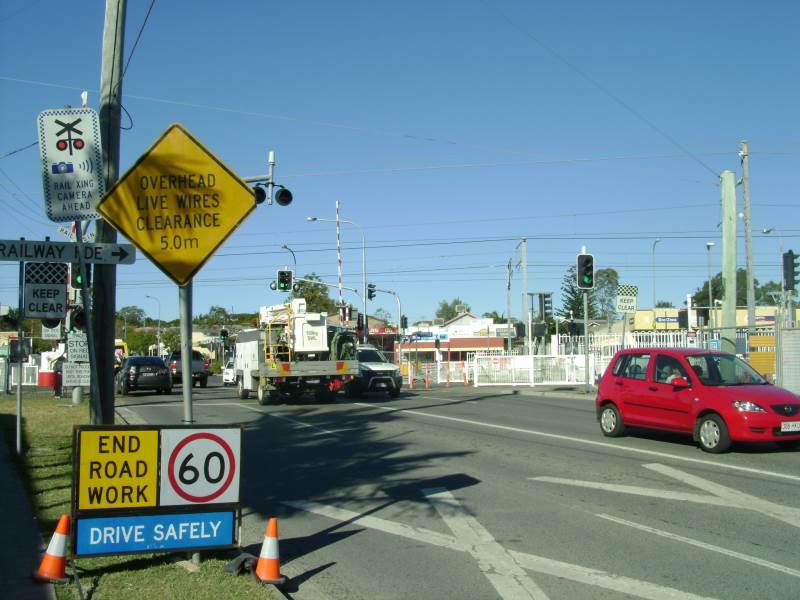 Motorists on Brisbane’s northside will experience a safer journey as the two major Open Level Crossing Replacement Projects remain on track for full completion in coming months, well ahead of schedule. Transport and Main Roads Minister Scott Emerson joined Lord Mayor Graham Quirk and Member for Nudgee Jason Woodforth to inspect recent works on the pedestrian overpass bridge at Geebung. “These road projects will make it quicker and safer for motorists to get to work in the morning and home again at the end of the day,” Mr Emerson said. 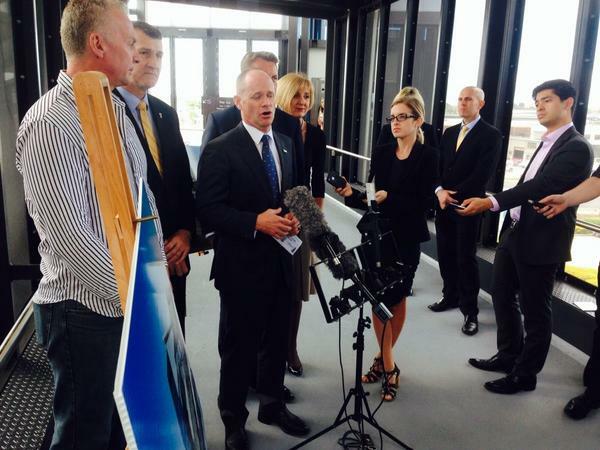 “The jointly funded $199 million Geebung project and the $82 million Bracken Ridge project will provide improved infrastructure for Queensland, continuing the government’s promise to deliver a strong plan for a brighter future. Cr Quirk said Council’s commitment to delivering the improvements will see the Geebung project open three months ahead of schedule in August, with the Bracken Ridge project to open one month ahead of schedule in October. “Council prioritised the delivery of these important open level crossing overpass bridges to bring vital safety improvements and congestion relief to motorists,” Cr Quirk said. 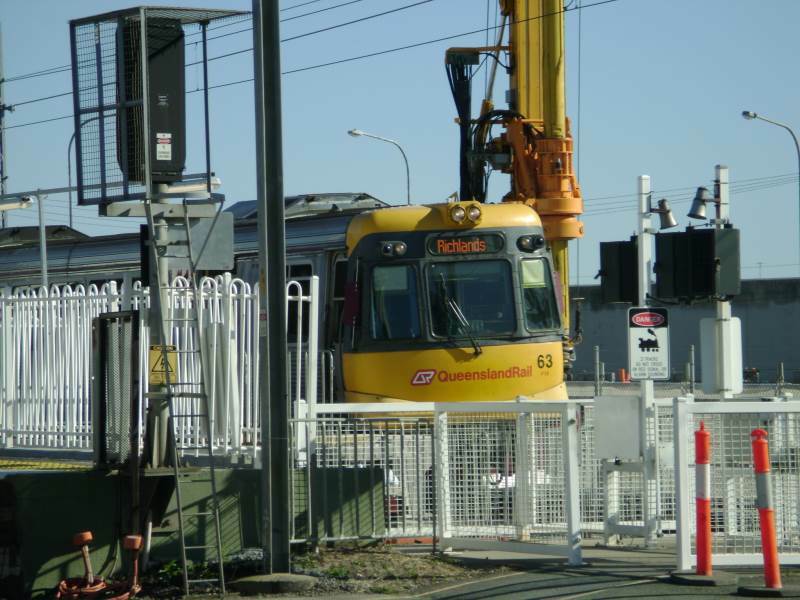 “The Robinson Road open level crossing replacement project has reached a milestone, with works for pedestrian and cyclist access to the station and across the rail corridor now underway,” Cr Quirk said. 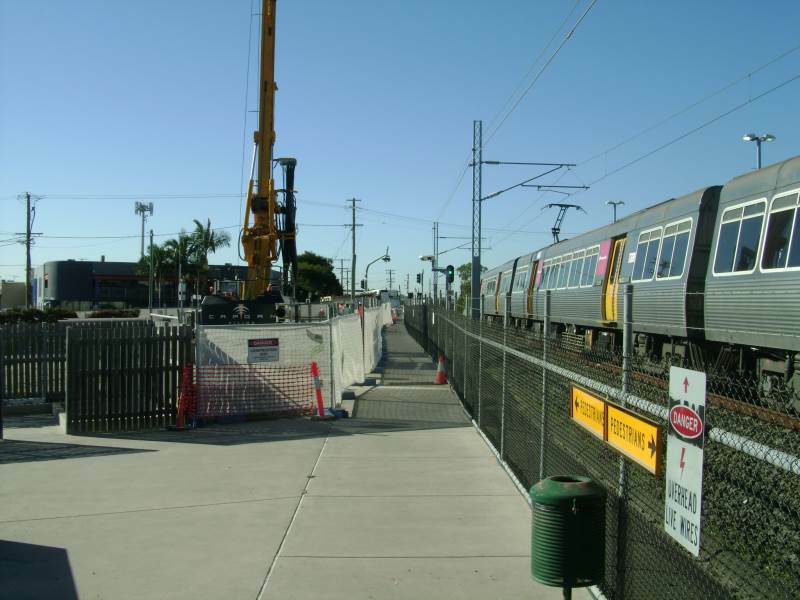 Final works to relocate and reinstate the existing passenger car park at Geebung Rail Station should also be completed in coming months. Mr Woodforth thanked residents for their patience during the final months to complete the works. Cr Quirk said works on the $82 million Telegraph Road Open Level Crossing Replacement Project in Bracken Ridge were also well underway. “The Telegraph Road project reached an important milestone on Sunday 25 May, when the southern lanes of the road overpass opened to traffic,” Cr Quirk said. Both projects are being jointly funded by Council and the Queensland Government with the GO Alliance delivering the Geebung Project and the Bracken Ridge project being constructed by Bielby Hull Joint Venture. He forgot to bag out Labor again!!! One of these newfangled fancy overpasses would be mighty useful at Coopers Plains. Just sayin'. 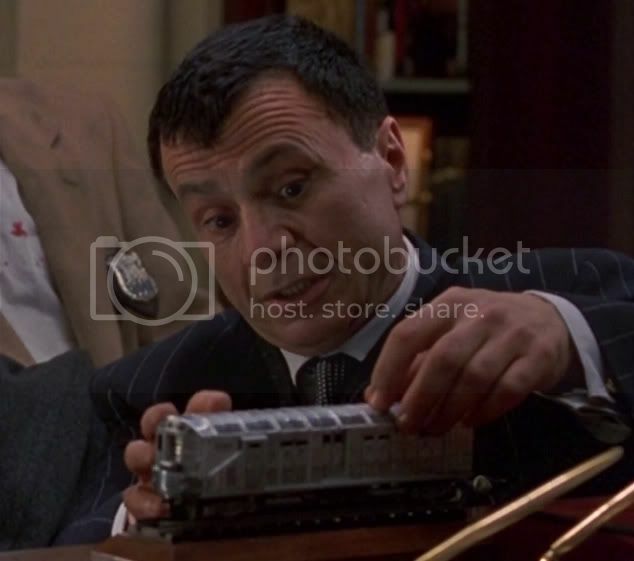 If it's finished ahead of schedule, does that mean it's only 1/4 baked instead of half baked? Re the new intersection. It's a bloody stupid configuration. The traffic heading westbound could and should have easily been a merge/give way intersection instead of a useless bus stop (mind you both these stops aren't even in use yet) which is what they did during construction. Now all east/west traffic has to stop if one single car wanting to go westbound from Newman road appears at the scene. Great useless planning BCC/whoever.